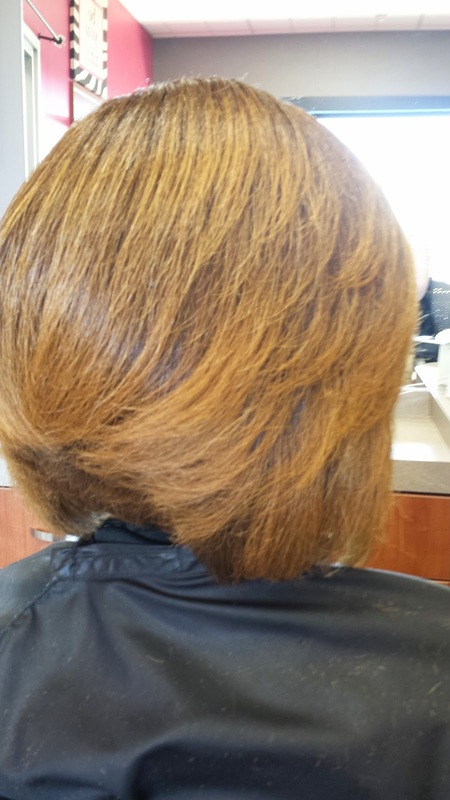 I perform many keratin treatments on my clients, and all of them seem to love it. As a result I have been getting lots of questions about them. For instance, are they safe? What exactly is it? Can anyone get one? And many other questions have followed. 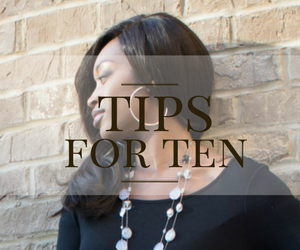 Well, today I am going to give you five things to consider before getting a keratin treatment. The client featured in this post received a keratin treatment from me as well as a cut on this visit. 1. What exactly is a keratin treatment? It is basically a protein treatment that temporarily allows the hair to become straight for approximately twelve weeks. It is not permanent and over time it will gradually fade off of the hair. At the end of the twelve weeks, the hair has returned back to its original state. 2. Are they safe on the hair? Absolutely! However, I will say that their are many brands of keratin treatments on the market, and all of them are not created equal. With that being said, if you are considering getting one be sure that a professional hairstylist does it for you and that they use a professional brand. 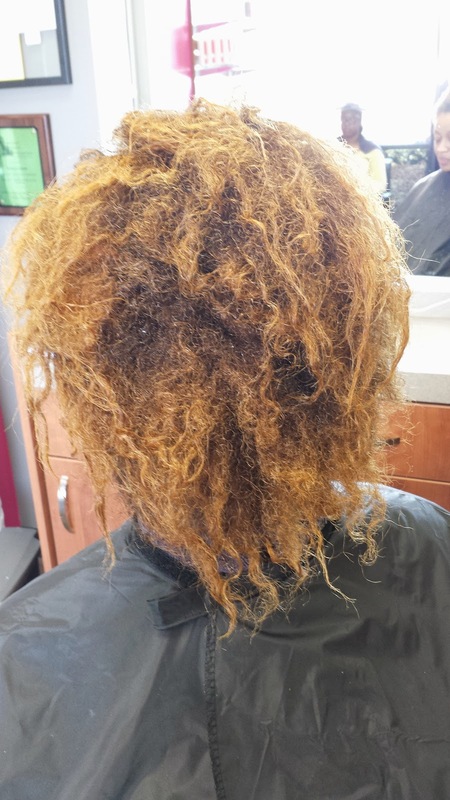 Some brands contain formaldehyde which is not good for the hair because it can cause the hair to not return to its curly state, or even worse, it can cause severe breakage. 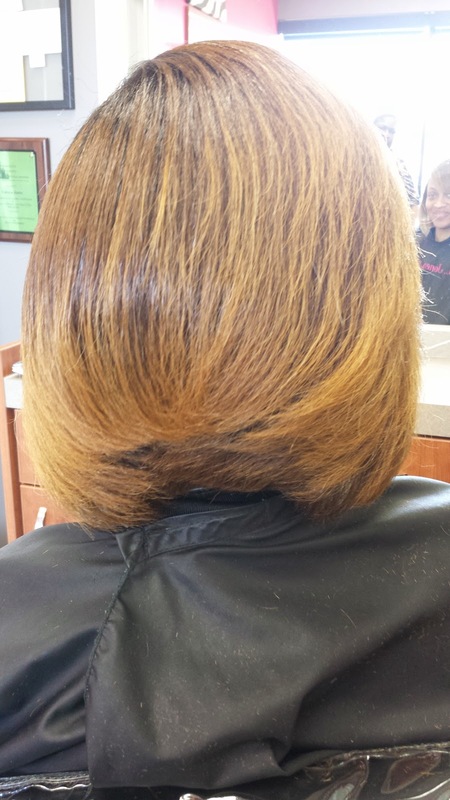 I personally use The Brazilian Blowout on my clients because it is very gentle on the hair. 3. Would this be good for kids? I do more keratin treatments on kids than adults believe it or not. Why? Because many women do not want their daughters to have a relaxer but the daughters are tired of wearing braids and ponytails. Keratin treatments are a great compromise because unlike a silk press which only lasts about two weeks (or until the hair is wet again), a keratin treatment lasts much longer and gives both mother and daughter what they want. 4. Can women with relaxed hair get a keratin treatment? Yes they can but to be honest I would not see the point unless you are transitioning. 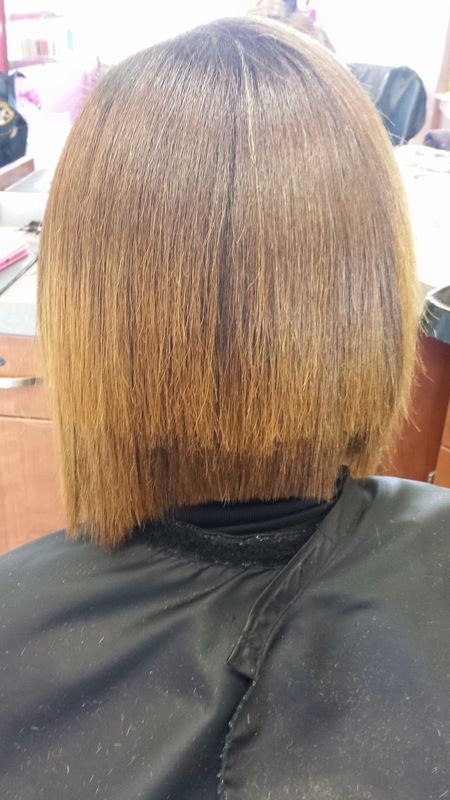 Women get keratin treatments so that they can enjoy straight hair for a little while. 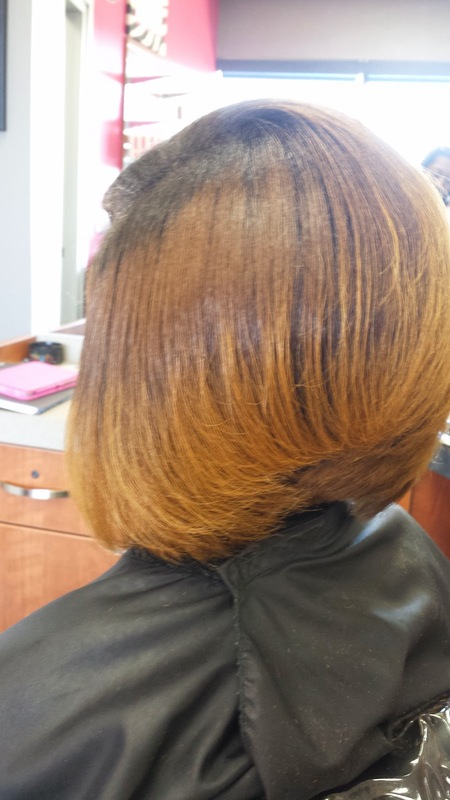 If you have a relaxer your hair is already straight. 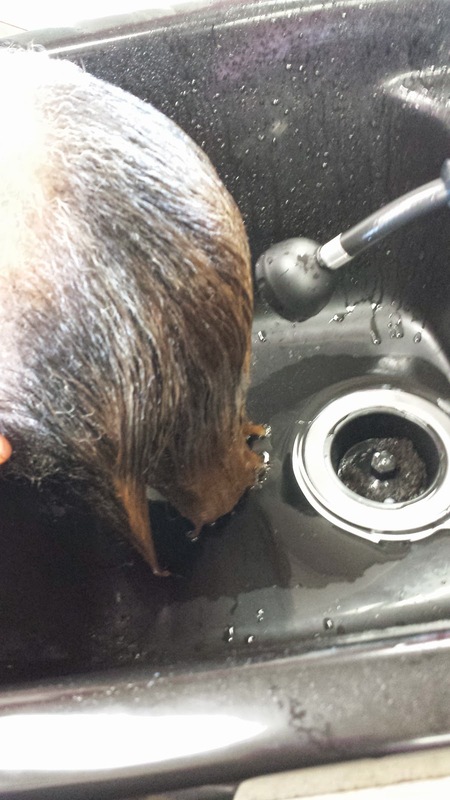 It is an actual treatment so it will not hurt your relaxed hair but you will not see a really big difference. 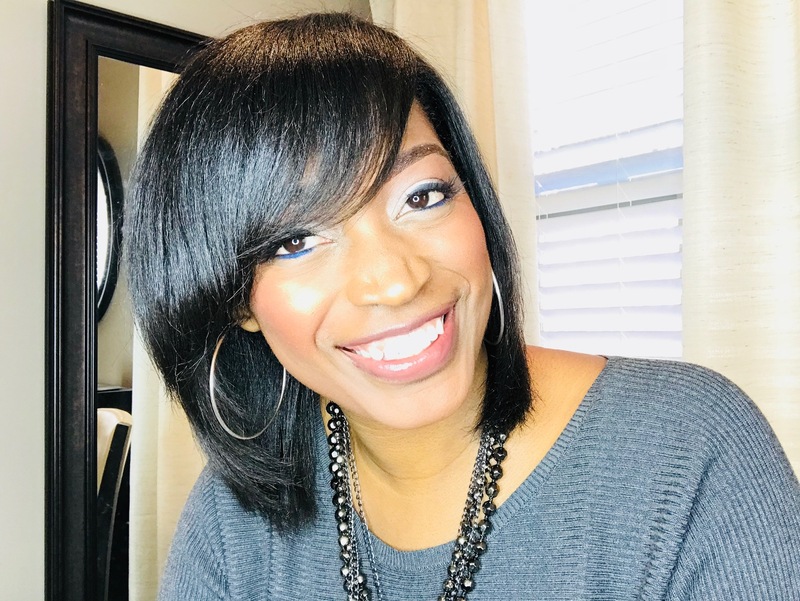 If you are transitioning it may be beneficial because it will allow you to work with only one texture instead of dealing with curly hair at the roots and straight hair on the ends. 5. Can you work out with a keratin treatment? Yes, you can work out, go swimming, get caught in the rain and shampoo your hair and it will not revert back! Over the course of the three months or twelve weeks, you will notice your hair getting wavier and wavier as the keratin wears off until it eventually is completely gone. But during the time you have it you can enjoy getting your hair wet and still being able to manage it as well as not being concerned about frizz either. You won't have any frizz or any puffiness! To maintain your keratin treatment you would wrap it up every night. You would also shampoo and condition weekly and limit the use of heat to only once per week or less. 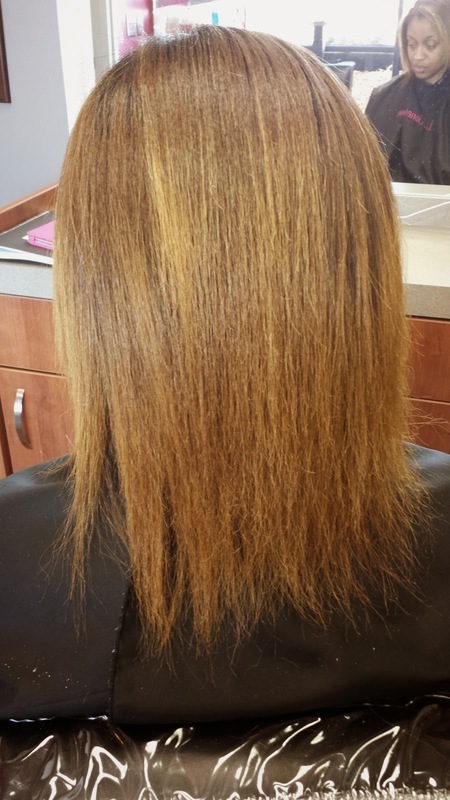 The client in this post is on her second keratin treatment. She loves being able to maintain her hair and not have a relaxer. 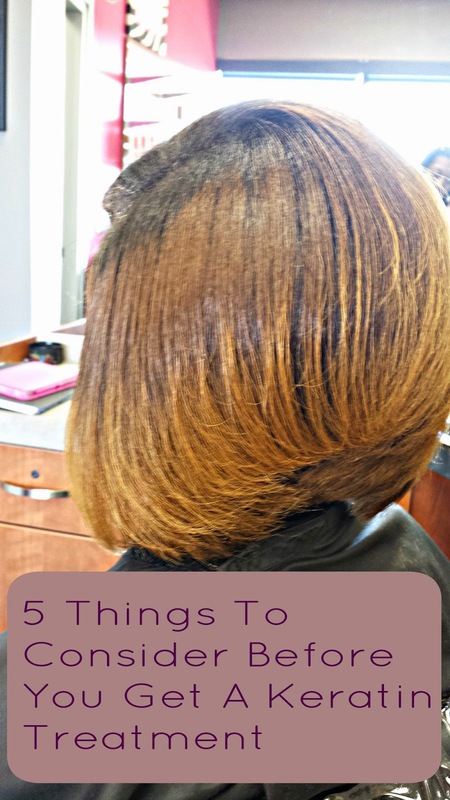 If you were wondering if a keratin treatment is for you I hope you take these five things to consider before getting a keratin treatment into consideration. 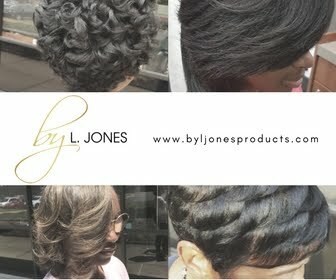 The main thing is to know the brand that your hairstylist uses and do your own research on that brand as well. I am abt 15 months post relaxer with some heat damage and Texlaxed. But not really.. I may have rinsed the relaxer too soon? But anyway this sounds like a dream. Temporarily straighten my hair?! I really want to continue on this semi natural journey but the daily friZ and thickness made me purchase a relaxer today! I want my free flowing, straight hair back but I also will hate to throw my progress away. Would you recommend. Where can I find this? A regular beauty supply store? Hello, my hair is thin and i used to use perm all the time, it's been a year without perms in i don't want to use perm anymore,what is best to use to get that perm look. Hello!! 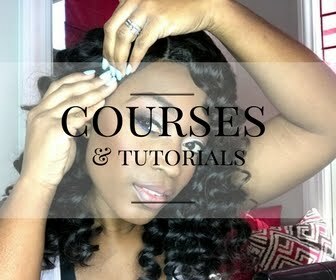 I have a sewn,in weave,and it constantly dries out every day,and the curls want hold...It is so brittle that I am embarrassed to go out places...Can you tell me what is the best thing to do? ?